Juan A. Mesa holds degrees in organ performance from Western Connecticut State University (BM) and Indiana University (MM). His teachers include Stephen Roberts, Christopher Young (performance), Todd Wilson and Jeffrey Smith (improvisation), and Elisabeth Wright (harpsichord & continuo playing). Juan has performed as a soloist across the US and South America, and has frequently collaborated with ensembles as a continuo player and accompanist. Recent engagements include concerts with the New England-based MYRIAM early music ensemble, and concert tours with the Notre Dame Children's Choir. Juan is an AGO Regional Competition for Young Organists' first prize winner, and has performed at regional and national AGO conventions and competitions; he was most recently a semi-finalist in the 2018 national competition in organ improvisation (NCOI) in Montreal. As a conductor, he has led historically-informed performances of baroque and early classical choral and instrumental repertoire, including all-Bach and all-Buxtehude marathons at St. Mary's Church in Holliston. Juan is currently a PhD candidate in Music Theory at Indiana University, and has published articles and presented at conferences across the nation. 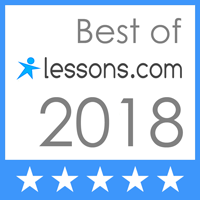 Juan has been teaching since 2004, and he teaches English and Spanish lessons for Note-worthy Experiences, where he has taught since July 2018. He is a member of the National Piano Guild. Juan Mesa has been teaching our daughter for the past eight months. We could not be happier with the impact that he has had on our daughter’s musical and personal development. He is always very patient and positive. His gentle way of teaching makes for a wonderful learning environment that our daughter feels very comfortable with. We have seen her love for the piano grown since starting lessons with him. His passion for music is certainly contagious. Thank you, Juan! In his free time Juan enjoys flying across the New England skies, cooking, writing, and of course, playing music for fun!